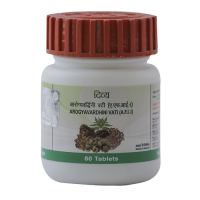 ArogyavardhiniVati is a highly effective Ayurvedic medicine that gives you strength, increases your ..
Arshkalp Vati is a time-tested medicine for piles, haemorrhoids and fistula. 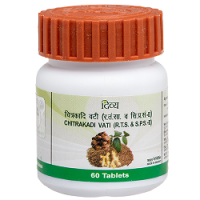 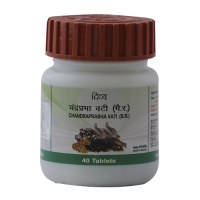 It is made from a combi..
Chandraprabha Vati treats urinary tract disorders like (UTI), any bladder-related issues, muscle a..
ChitrakadiVati cures indigestion, improves appetite and suppresses gas and discomfort. 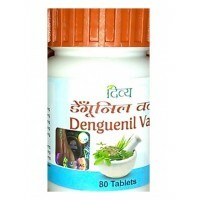 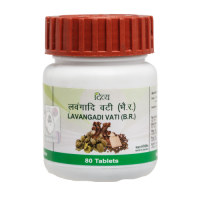 Unbalanced di..
DENGUENIL VATI (or as advised by the physician) (40 GM) ..
Divya Madhunashini Vati Extra Power solves complications from diabetes. 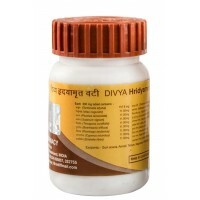 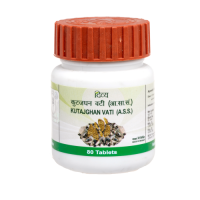 Over time diabetes affects v..
Giloy Ghan Vati is used as a treatment for general fever and immunity.Useful in generalized debility..
Divya Hridyamrit Vati Extra Power is a trusted remedy for cardiovascular problems. 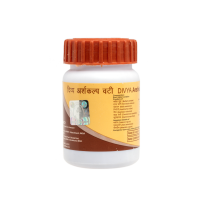 It helps regulate..
Divya Kayakalp Vati Extra Power detoxifies your blood and cures skin ailments. 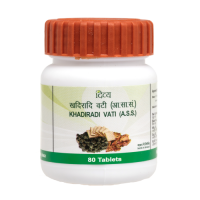 Contaminated and unba..
Khadiradi Vati is a very effective Ayurvedic medicine that prevents bad breath, toothache, gum probl..
KutajghanVati tablet cures diarrhoea, stomach infections, stomach ulcers and irritable bowel syndrom..
Liv tablet-40gm. 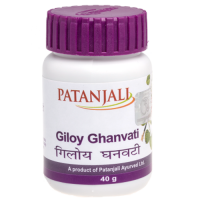 Useful in fatty liver, Hepatitis, Loss of appetite, Anemia. 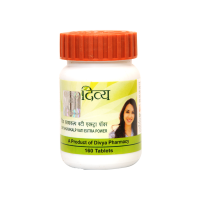 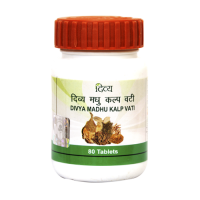 60TAB ..
Divya Madhukalp Vati is an effective Ayurvedic remedy for diabetes. 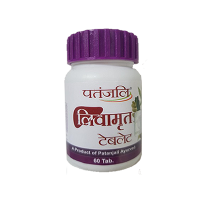 It strengthens the pancreas an..